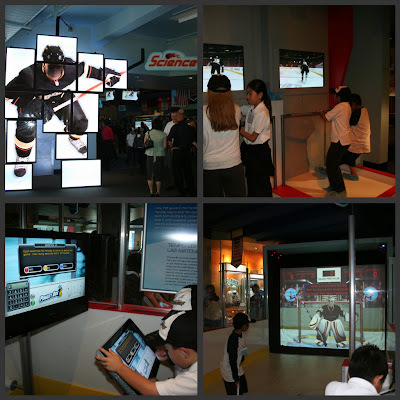 Last Thursday I had the opportunity to preview the Science of Hockey permanent exhibit at the Discovery Science Center.The Discovery Science Center has teamed up with the Anaheim Ducks and the NHL to bring you this fantastic hands on exhibit. The exhibit officially opens on April 2nd. I have to start off by saying that your kiddos will absolutely love the exhibit!! !Two of the highlights of the exhibit are You be the Goalie and You be the Shooter. Your kiddos will absolutely love this. The interactive You be the Goalie experience allows you to put on the skates of a NHL Goalie and learn all about blocking goals. The You be the Shooter allows you to shoot a puck at a virtual goalie. The kids are going to be all over this. I wanted to shoot a few rounds myself!! The exhibit also features a replica of a Zamboni Machine. This is going to be a favorite. The kids can play with the the different buttons and of course play with the wheel. It’s some serious fun!! The penalty box is another fan favorite. When your little hockey players are sent to the penalty box- they must use their math skills to be able to get out. It’s a great way to test those math skills!! My personal favorite interactive experience is the Broadcast Booth. Here your kids can play broadcaster and do a play by play. I could play with this forever!! If your kiddos love play acting this will be a sure hit. Another experience sure to be a hit is the Skater Challenge. Your kiddos will be able to test their skating skills against a professional hockey player and skate through a NHL skating drill. Other experiences are reaction time-Test your reaction time to sound, light, and vibration. Place your hands on the surface of the exhibit, and then wait…. when the sound, light or vibration is activated, a timer begins and you must hit the stop button as fast as you can! Sounds of the Game is another experience which allows you to explore the principles of sound using actual audio and video footage of a hockey game. The friction table will allow you to test and compare how pucks move on various surfaces and learn about the effect that friction has on movement of the puck. Your family will love the new exhibit. It is located on the upper floor of The Cube. Make sure to check it out- You will love it!! This entry was posted in Discovery Science Center, Ducks, exhibit, NHL experience. 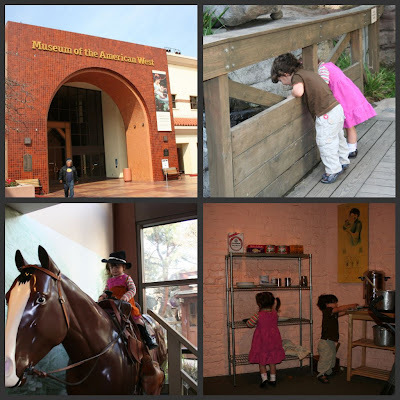 Last week I had the opportunity to take my kiddos to the Autry National Center of the American West in Los Angeles. It was a place I had been wanting to visit for some time and finally got around to visiting. The Autry National Center of the American West is located inside of Griffith Park and across from the Los Angeles Zoo. We loved the museum from first sight. The grounds are absolutely beautiful!! We started our excursion by taking a stroll through the upper level exhibits. The kids loved looking at the different cowboy costumes!! The upper level of the museum is interesting and great to look at – but it can’t compare to the ground floor- a.k.a- The Family Discovery Gallery- or kid heaven!! There is an outside area that your kiddos will love. There is an actual stagecoach that you and your kids can climb on and a recreated setting of gold rush country. My kiddos loved it and did not want to leave. They ran around for quite some time. After exploring the outside area we headed to the Family Discovery Gallery which was the highlight of our excursion. In this special gallery, families step back in time to discover what life was like for the See family, a Chinese American family in the 1930s. You will explore the family’s antique store, restaurant, and home. This was the coolest little exhibit I have ever explored with my family. I could not tear the kids apart from the restaurant and home section. They played for at least an hour in the restaurant section. They loved “cooking and serving us”. It was also a blast to play house with them inside the replica California Bungalow. 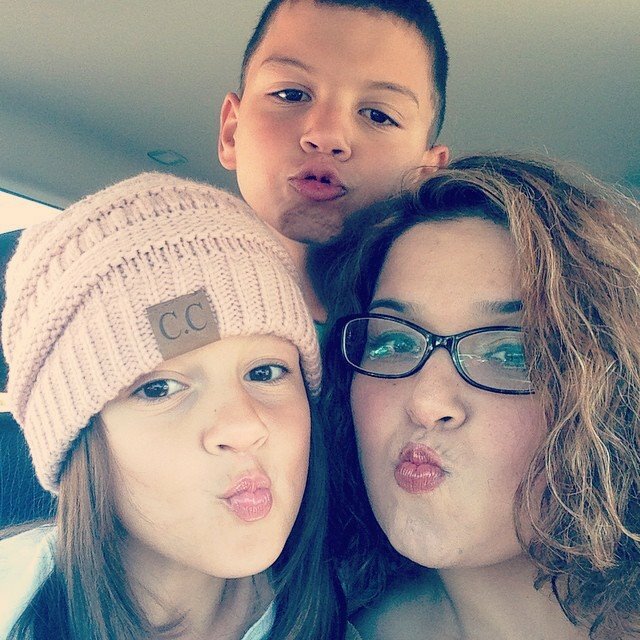 We had so much fun and I’m sure your kiddos will too. We finished our excursion with lunch at the Golden Spur Cafe. I usually don’t like to recommend museum cafe’s because they are usually quite pricey- but the Golden Spur Cafe is the exception. The food was fantastic and the prices were unbelievably reasonable. I think my lunch with drink was around $6.00 and the kids meals(which are huge by the way!!) were $4.00. The kids shared a meal and I think the total for an amazing lunch was $11.00- not bad at all!! After lunch I let the kids run wild and burn off some energy by running around in the gorgeous field adjacent to the museum. You could bring a picnic and your kids would love to eat and run around the field. I can’t rave enough about this fantastic place. If you have never been – make sure to visit soon. This entry was posted in Autry National Center of American West, Grifitth Park, Los Angeles, Museum. I love free events. Come to think of it- everyone does!! I’m going to write about a Free event that you will not want to miss!! I’ve posted about Shark Lagoon Nights before but due to popular request(my friend Amy) and since it’s been almost a year since I posted – I wanted to post about it again. Shark Lagoon Nights are held every Friday night at the Aquarium of the Pacific in Long Beach. It’s a free event open to the public. 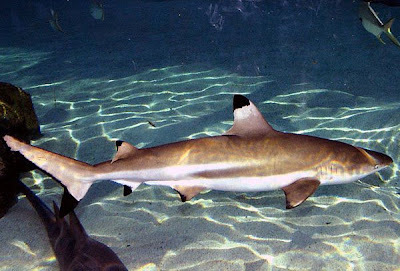 Shark Lagoon night gives your kiddos an opportunity to see sharks up close and personal. You will have the opportunity to touch bamboo sharks and see large sharks such as sand tigers as well as rays in the Aquarium’s Shark Lagoon. It’s held every Friday from 6-9pm. It’s a seriously cool experience and of course absolutely free. I hope you will visit soon!! This entry was posted in Aquarium of the Pacific, Free, Free Admission, Free Event, Long Beach, shark lagoon nights.